First step Training Brush: The extra long handle enables parents and babies to hold the brush together. 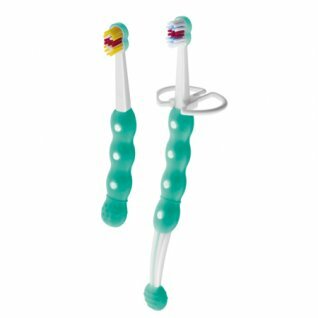 Babies can be guided through the correct brushing motions. Second step First Brush: Babies can practice imitating adult brushing independently.